"Demands to issue a particular ruling constitute interference." The Supreme Council of Justice (SCJ) has accused Interior Minister Arsen Avakov of putting pressure on the judiciary. It issued a statement to this effect a meeting concerning the minister's threat to leave court without security. "The Supreme Council of Justice considers it inadmissible to settle public disputes by any violent means and flatly condemns the attacks on National Police employees and citizens, which took place while Kyiv's Solomyanskyy district court was selecting a measure of restraint on 15 February this year. 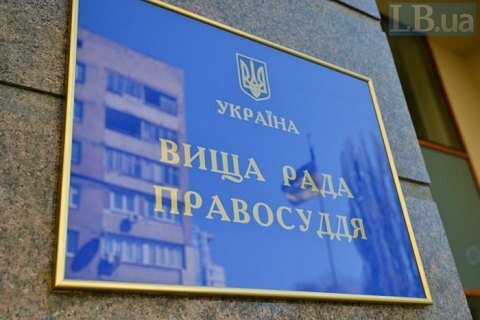 While sharing the Interior Ministry's concerns, the Supreme Council of Justice categorically does not accept public statements on the refusal to carry out the state function of ensuring the protection of judges, which were published on the ministry's website," SCJ chairman Ihor Benedysyuk read out the statement. "Demands, with regard to this court decision, to the Supreme Council of Justice and the court of appeal to issue a particular decision constitute [attempts at] interference and pressure on the judiciary," the statement reads. Benedysyuk said that the Interior Ministry's refusal to guard court would above all endanger citizens who are entitled to judicial protection and whose security is guaranteed by the state. Avakov fell out with the judiciary after Kyiv's Shevchenkivskyy district court released the man, who wounded a police officer outside the court on 15 February, on the surety of MPs. Avakov demanded that the Supreme Council of Justice take action with regard to the judge in the case, and that the prosecutor's office and the court of appeal immediately take a fair decision. He threatened that police would stop guarding the courts. Security has already been removed from the Shevchenkivskyy district court.